The FIFA World Cup is the biggest football carnival. The 32 best countries from around the world make the journey to battle it out to be the best national team in football. It's every young football player's ambition to wear his country's jersey and sing the national anthem proudly and take the field to represent the country. Sadly, not everyone gets to play in the competition because of injuries. Missing the World Cup due to an injury is a bitter pill to swallow and nobody knows it better than Marco Reus, who missed out on lifting the World Cup 2014 with the victorious German side. Sergio Romero has had a stop-start club career over the past five years as he has remained a second-choice keeper. At AS Monaco, he was the second-choice keeper behind Danijel Subasic and at Manchester United, David De Gea's presence has seen him rooted to the bench. 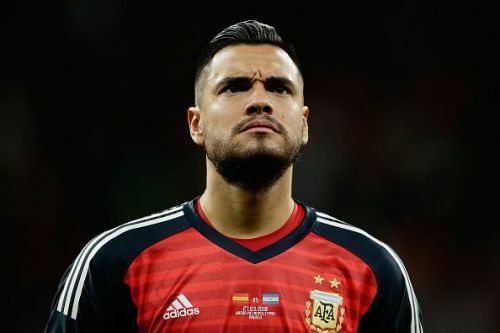 Despite the uncertainties at the club level, Romero has remained the first-choice keeper for Argentina for the past decade. The 31-year old has made 94 appearances for La Albiceleste and was one of their heroes at the previous World Cup. After three consecutive heart-breaking losses in the finals of major tournaments, the Argentine will suffer more heartache as he has been ruled out of the tournament with a knee injury. It's a massive blow for Argentina, who don't have a recognized backup keeper - something that could come to haunt them over the next couple of months.